The second I got to Miami, I remembered how much I had missed it. Kyboe! hosted us for the weekend and I can’t thank them enough for the experience. 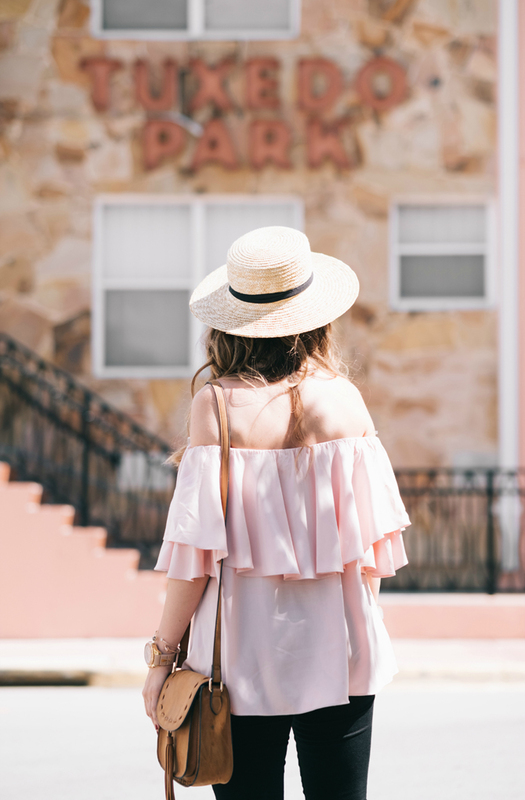 We stayed at the Gale South Beach in Miami, and it’s such a chic boutique hotel with a beautiful rooftop pool. As soon as I checked in, there was a package from the team with my new rose gold watch waiting at the front desk. Kyboe! stole my heart as soon as I saw their 40mm and 48mm watches. I collect watches and I got that little hobby from my father. 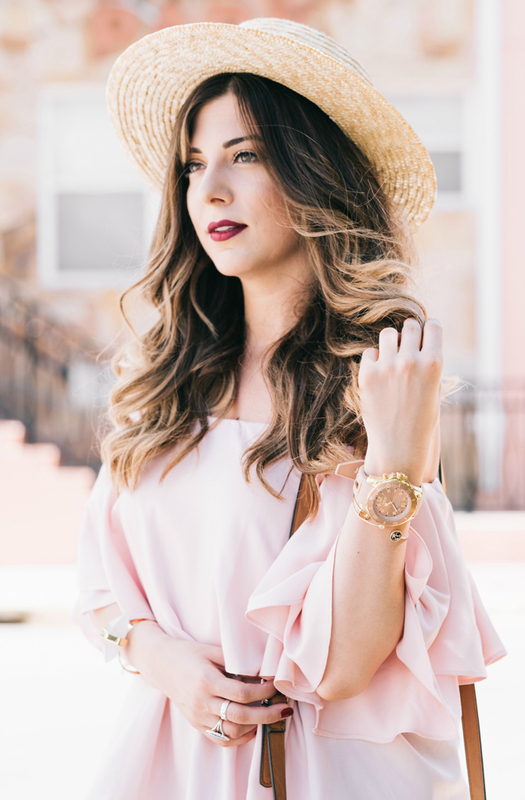 He loves watches that have a wider face and are a statement piece, which is exactly why I connected with Kyboe! instantly. 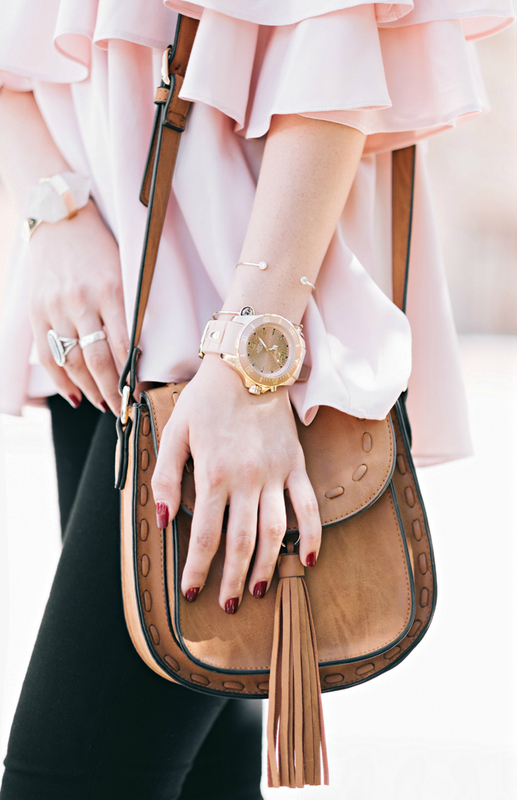 Their pieces are so versatile and chic! My brother and I styled them all weekend accordingly to our outfits. 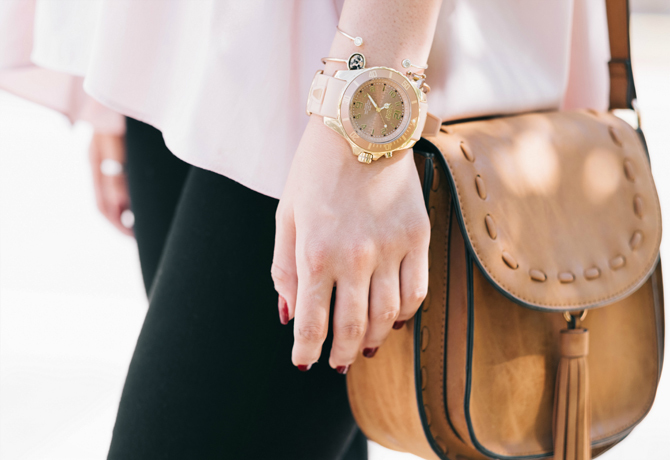 I styled their stainless steel watch with rose-gold plaiting and you can find it here. We kicked off our trip with their fashion show where they showcased their watches on a conveyor belt of hands along with models next to the runway. Each color was so bold and unique! We spent our Saturday at the beach at the Setai. The Setai is a beautiful hotel in Miami and if you are looking for luxury and amazing amenities, this is the hotel to visit. I think my favorite part of the trip was the dinner at Marc Bell’s home in Boca Raton. We had a private dinner by Todd English and got the opportunity to meet and converse with the wonderful Kyboe! team. 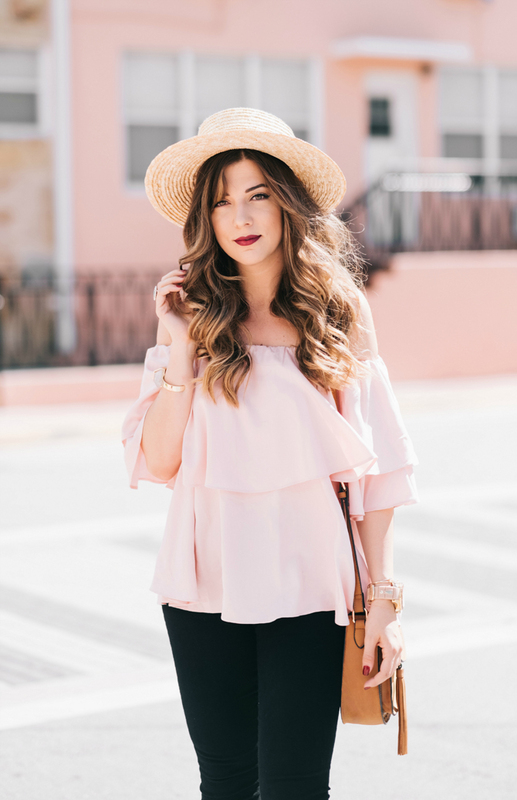 This ruffle off the shoulder top was the perfect piece because not only is it a trending silhouette but also lightweight enough to keep me` cool during the humidity. Since my Kyboe! 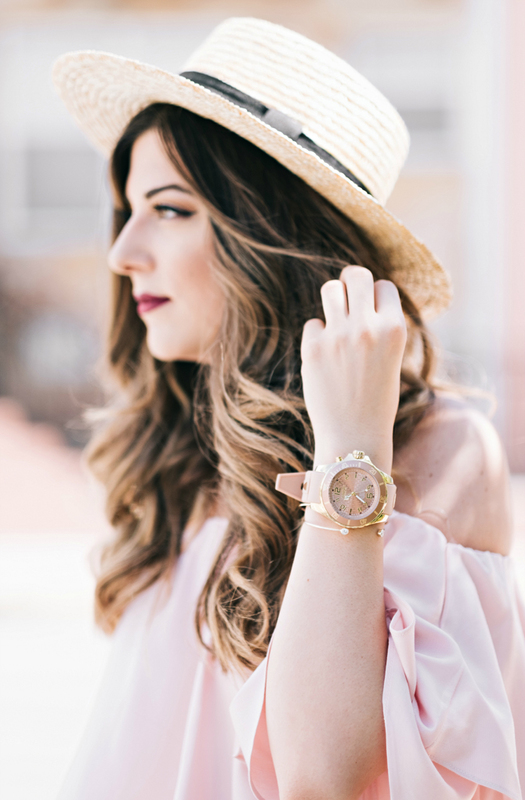 watch was rosegold with gold accents, I kept my accessories were warm toned in camel shades. The second I got to Miami, I remembered how much I had missed it. Thank you Kyboe! for sponsoring this post. super love the color scheme of this outfit! Seriously adoreeee that top on you girl!! 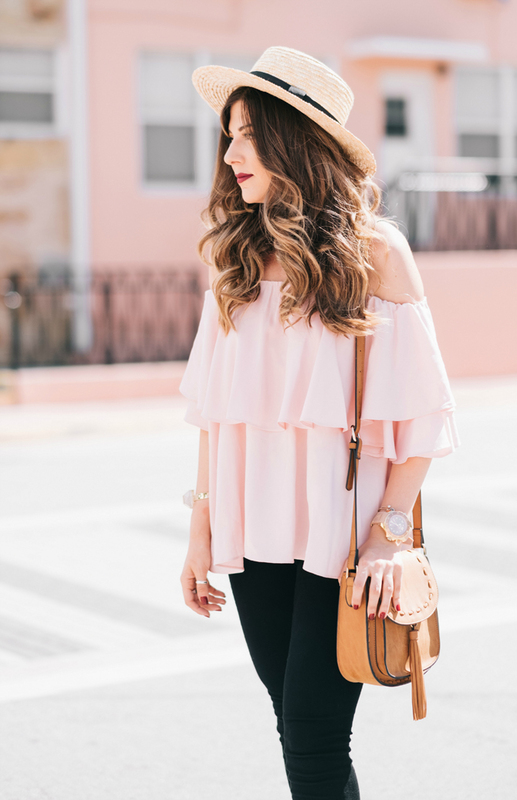 I'm going to have to find all of my off the shoulder tops for HK because it's going to be stinking hot over there! !